Andrea Jerković is the director of CEUSS, where she is working as principal investigator for the EU projects VITRUV and AEROCEPTOR. She also was senior researcher in the EU project FOCUS. After graduating in British and American Studies as well as German Studies from Leopold Franzens University (Innsbruck, Tyrol), she earned a Master of Public Administration from the Hans Sachs School of Advanced Studies, WWEDU World Wide Education (Wels, Upper Austria). She received her doctoral degree from Sigmund Freud University. Andrea Jerković also is member of the advisory board, Kölner Forum für Internationale Beziehungen und Sicherheitspolitik e.V. (KFIBS)/Cologne Forum for International Relations and Security Policy. Her academic career began as tutor of Professor Alexander Siedschlag at the Endowed Center for European Security Studies at the University of Innsbruck in 2007. In the years 2008-2009, her professional accomplishments included an internship at the Institute for Peace Research and Security Policy (IFSH) at the University of Hamburg, the assistance of the management of WWEDU World Wide Education, and a survey in the Austrian national security research programme KIRAS at the Federal Ministry for Transport, Innovation and Technology (BMVIT) in Vienna. At the international level, Andrea Jerković has also worked for the European project Changing Perceptions of Security and Interventions (CPSI) within the 7th EU Framework Programme. She as well worked at the Institute for Security Research in the framework of the project SFI@SFU in the Austrian national security research programme KIRAS (November 2009-December 2011). Since the beginning of her career, she has been acting as the head of organization for the European Security Conference Initiative (ESCI). 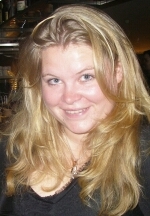 Her research has focused on culture as an analytical concept (changing the public perception of European Security) as well as on concepts of the International Community and the European Union in state-building missions (conceptual problems of military and civil co-operation related to the comprehensive approach). Holding a doctoral degree in Agricultural Sciences Rosemarie Stangl has been researching and working in the field of natural hazards and resources management and landscape planning. 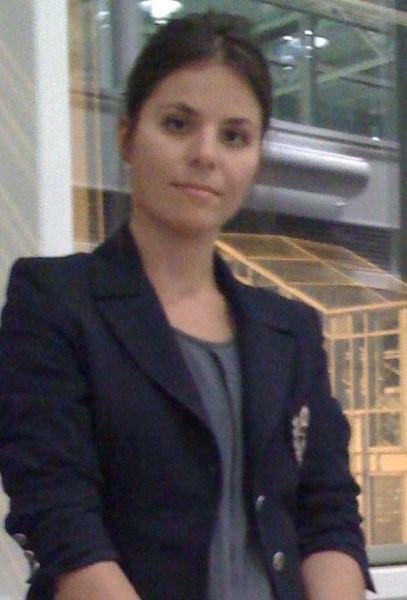 In 2010 she joined the Austrian Center for Comprehensive Security Research at Sigmund Freud Private University Vienna (SFU) within the scope of the KIRAS-SFI@SFU-Project managing the research co-ordination in crisis and disaster management and bridging natural and engineering sciences with security related research topics. 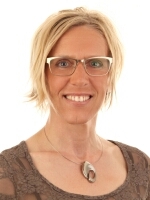 As staff member of CEUSS | Center for European Security Studies (SFU) she is providing scientific support to the EU FP7 security research projects FOCUS and VITRUV. Moreover she is involved in community resilience research co-operation projects. 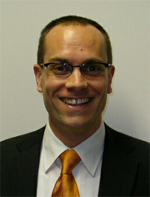 A graduate of the Diplomatic Academy of Vienna and holding a master’s degree in German language and literature, Florian Fritz has carried out several research activities and monitoring and network analysis tasks in the security research field, both on national (Austria) and European level. He has taken further security-related training, such as a specialized CSDP course by the European Security and Defense College in 2010. He specializes on social and cultural aspects of security, and is currently working on a resilience mapping in the framework of the EU’s internal-external security continuum. Publications include analyses of the European Security and Innovation Forum (ESRIF) as well as works on the nexus between internal security policies (such as Justice and Home Affairs) and external security policies (e.g. humanitarian and rescue tasks, conflict prevention and peace-keeping, tasks of combat forces in crisis management, including peace-making and post-conflict stabilization). Diana Silvestru studied 2004-2007 Philosophy and Sociology at the University "Babeş-Bolyai" Cluj-Napoca, Romania, and started 2009 Master Degree studies in Sociology at the University Vienna. 2008-2009 she worked as interviewer at C. Kocher Market Research GmbH and had 2009 an internship at the Embassy of Romania and the appendent Consular Section in Vienna. 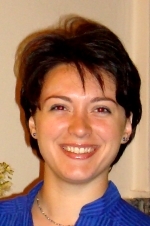 At CEUSS, Diana Silvestru worked in several EU security research projects.